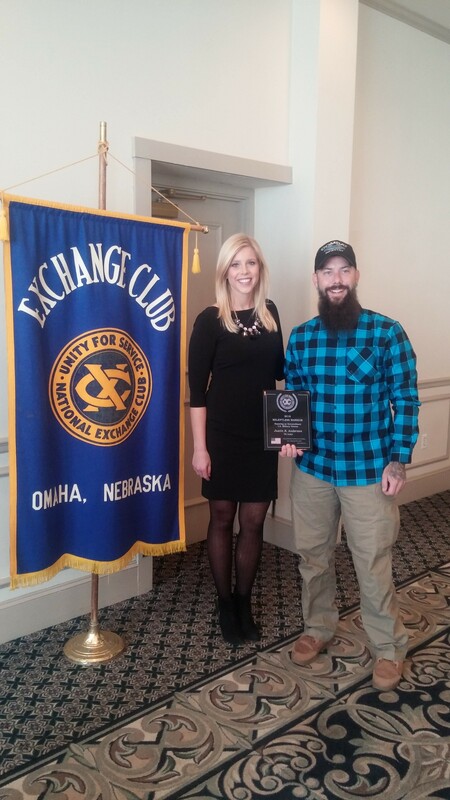 recipient of The Exchange Club of Omaha's Relentless Warrior Award. Justin's story is incredible, and his positivity is infectious. 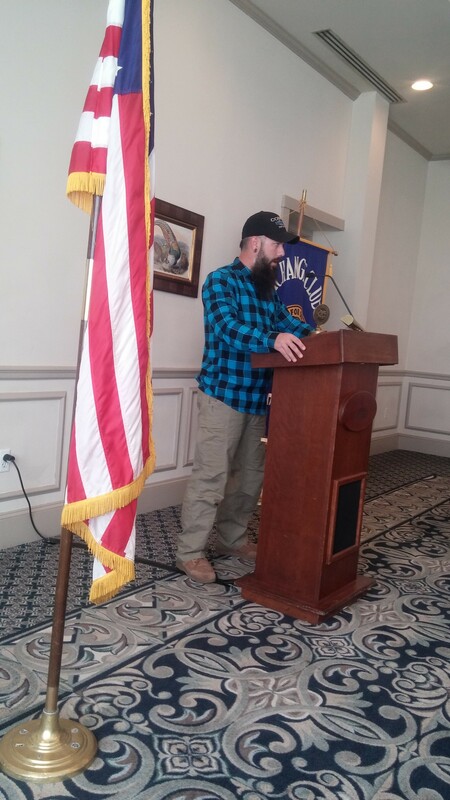 After an ambush attack in Iraq, Justin received a gunshot wound to his left knee and shrapnel in his lower back. His heart stopped twice in route to the hospitals. However, Justin humbly insisted on staying in Iraq and returning to his duties. Eleven years later, Justin had to have his left leg amputated, then was the first Iraqi War Veteran from the United States to receive an innovative surgery for prosthesis in Australia. He is now championing the surgery and his Australian surgeon for FDA approval in the US, not only for veterans, but all those in need of prosthetic legs. 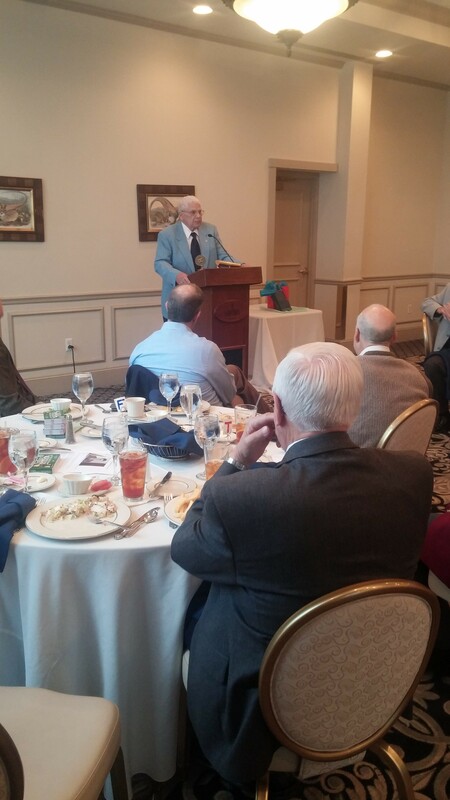 anchor/reporter for KMTV Channel 3.
and his heroic service in both WWII and the Korean War. 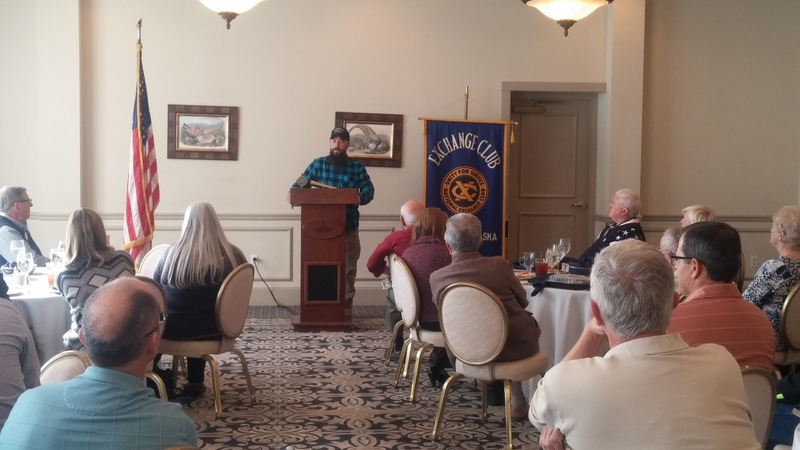 John was gracious enough to share some of his story and experience at our meeting, as well. 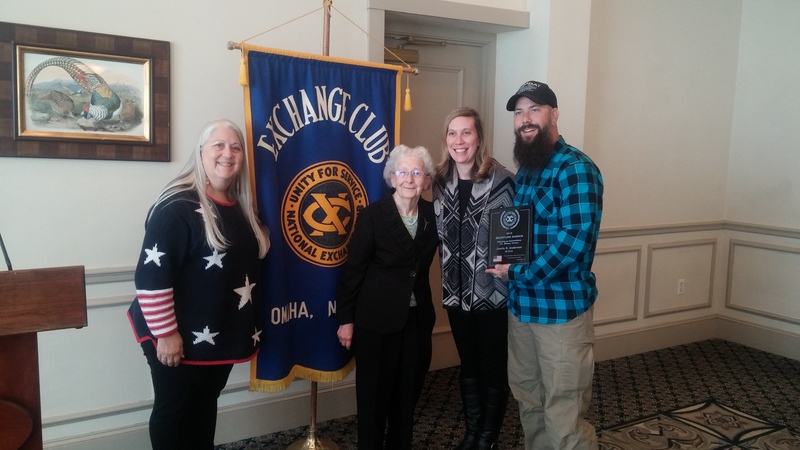 Each November, as the country celebrates Veterans Day, The Exchange Club of Omaha presents its Relentless Warrior Award to honor a veteran in our community. 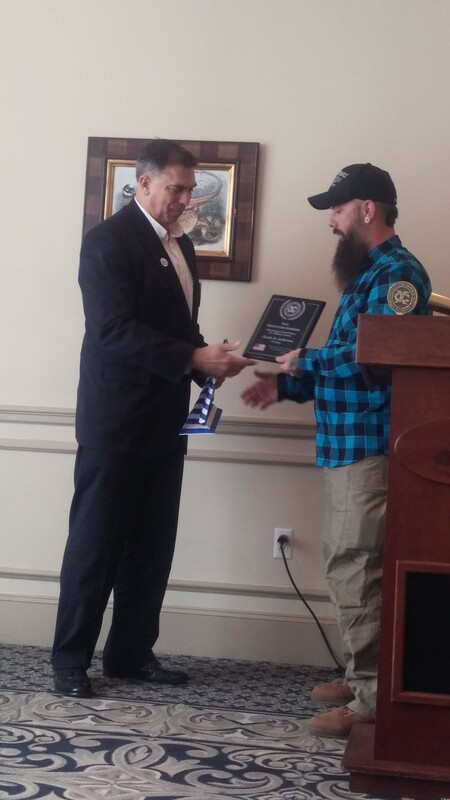 On November 10, 2015, Dennis L. Pavlik of the U.S. Army was presented this award, along with a Visa card to do with what he would like. Dennis is the last POW survivor of the Korean War living in Nebraska. His story is fascinating! 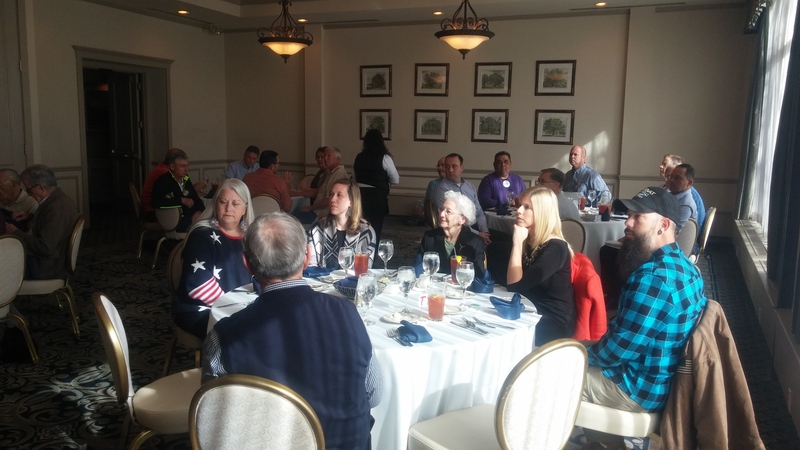 Thank you, Dennis, for your service! 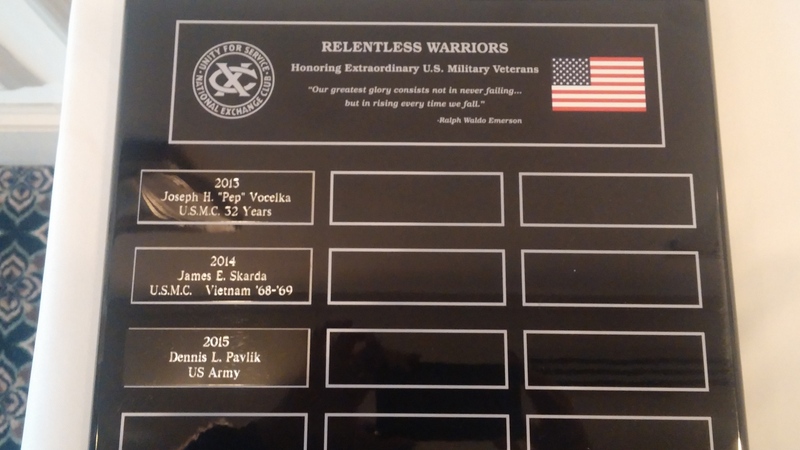 Exchange Club Veterans honor Dennis L. Pavlik, our 2015 "Relentless Warrior"
Exchange Club Veterans honor Joseph "Pep" Volcelka, the first "Relentless Warrior"
Joseph "Pep" Volcelka was honored at the November 12, 2013 meeting as the first Relentless Warrior. 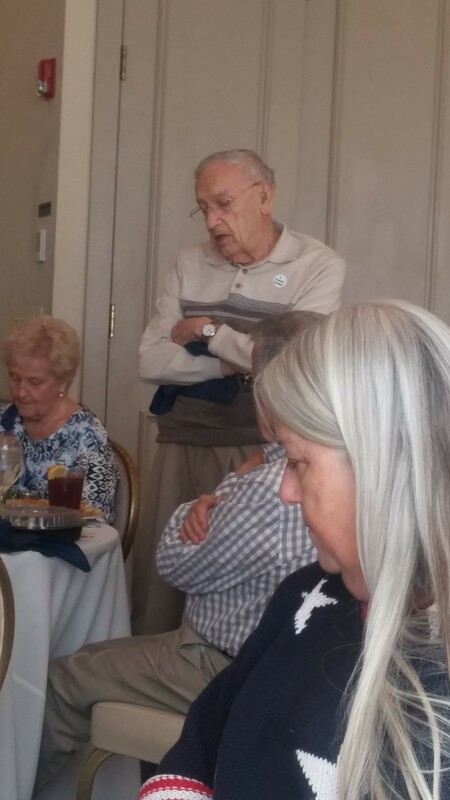 Pep served in WWII and received the Purple Heart in the Korean War. 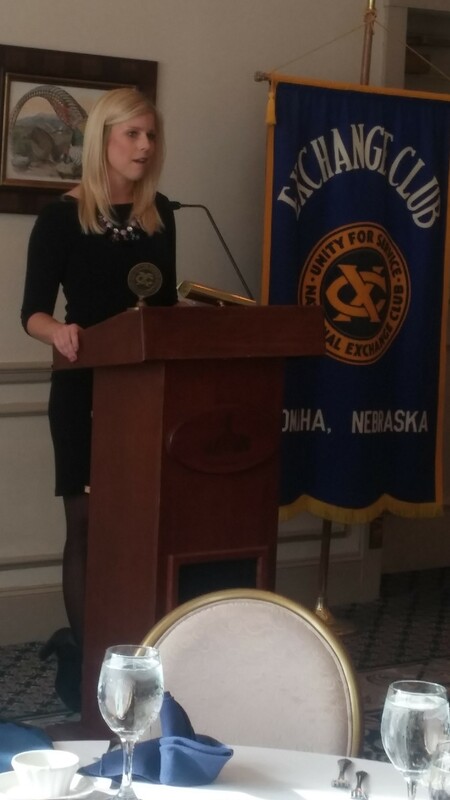 Mike Kelly, Omaha World-Herald Columnist, spoke at the meeting.